@scrax Getting M50 now is a good choose! Ultra cheap, Viltrox SpeedBooster and with ML it will be a small beast. Ha ha -- went into the "Hall of Shame" a.k.a. SPAM. Looks like this topic jumped the shark. No, I guess he just pressed "delete" instead of modify Happened to me once. @a1ex do you think it's possible in theory to add touchscreen navigation in ML? This is the period when 7D shooters, waiting with great anxiety for the fixes from a month ago, simply got frustrated, gave up on their 7Ds and transfered to other camera brands. I barely can understand (with overall camera prices drop and different alternatives) keep shooting for real with 900g outdated APC-S camera with moire in 2019... Literally, I don't understand whom are you talking about. It's nice (maybe) to remove some dust from your first 10 years old camera and click shutter few times here and there, but more? @chris_overseas what's going to be next? CIPA-cycle is not undisputed (to put in friendly wording). Do you have any information if cam can be powered by external USB power bank? doubt there's any adaptor yet, because this type of battery was used before in pretty amateurs cameras. literally what we can see: canon for the first time trying to get market with aggressive retail price of new camera? UHS-I only. Oh, Canon, why? FHD IPB only also.. wtf? this is my first post here, but I've been following both the 80D and the 5D IV threads for a little while now, since I just upgraded from an 80D to a 5D IV. I'm a computer science student and am willing to spend some time on this, and think I could help a little bit. 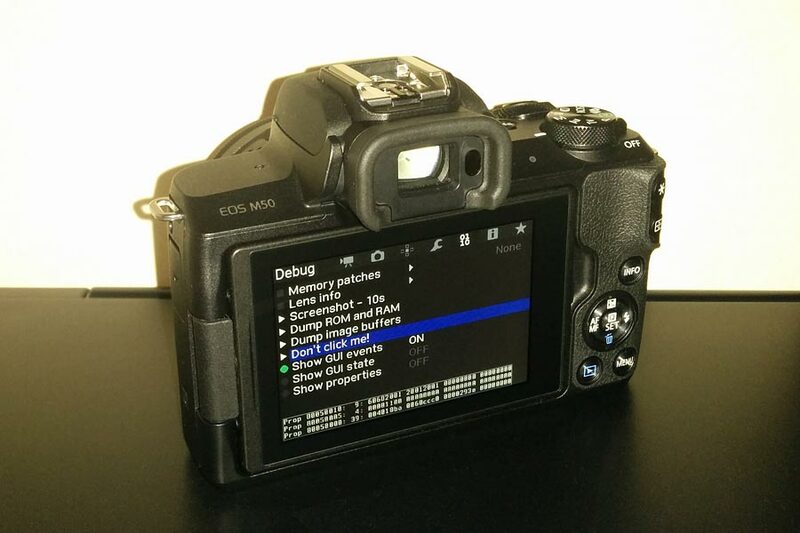 My 5D IV runs v1.1.2, so I'll start by updating the codebase to the new version. However, I've got finals coming up in a few weeks and won't be able to work on this until late February. Hope I'll be able to help! Just do not fade out as previous ppl! Also take a look in 80D thread, there's an actual progress. Why? It's true RAW, you can set WB in post w/o colors degradation. Well, I'm new on this forum and I first want to thank you a lot for all the wonderful job you're doing. ML is...Magic. I'm currently owning a 6D but will upgrade to a 5D soon, mark iii or iv. Just wondering about your thoughts on the mark iv. There is obvisouly more Dynamic range comparing to the mark iii but apart from this, what can justify this very costly update ? As there is no CF Fast, we will still be very limited for 4K (and higher) record. Depends on what are you going to do. There's no ML for IV atm, so you can shot with it as is. III has ML so you can shot in RAW and get that DR. If you don't need AF in video, III with ML RAW has much better image quality. But for future obviously, IV with ML RAW will knockout any camera with $6000 and lower.